Asafetida is native to Southwestern Asia. A little known spice outside of India, asafetida is the dried resin obtained from the rhizome of the giant fennel plant. 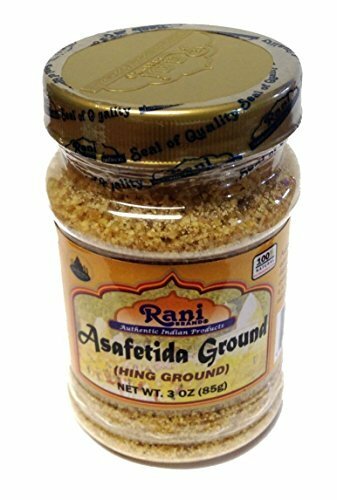 Powdered asafetida has a strong odor, reminiscent of picked garlic. In most Indian cooking it is used as a flavor enhancer and once cooked releases an onion-like flavor. If you have any questions about this product by Rani, contact us by completing and submitting the form below. If you are looking for a specif part number, please include it with your message.